With extensive experience in construction and project supervision, Glenn and Bax Engineering can assist with the planning and implementation of the most effective erosion and sediment control methods on any site. Bax Engineering deploys highly effective techniques to prevent sediment laden runoff from entering and polluting water systems. Strict Queensland erosion and sediment control regulations, plans and practices must be adhered to, as even low pollutant levels can contaminate and block stormwater pipes, kill aquatic life and cause other significant damage to the environment. Building sites are subject to random inspections and prosecution, and fines can range from $2000 for individuals up to $3 million for corporations operating under development approval. Detailed erosion and sediment control (ESC) plans: ESC plans can be mandatory prior to development approval. CPESC review and certification: Only certified professionals with the necessary educational, practical and ethical standards can practice in the field of erosion and sediment control. Prior to construction, most councils will require any erosion and sediment control plans to be CPESC certified. Inspection and compliance assessment: Construction sites are inspected to ensure compliance with the relevant environmental regulations. Guidance on site best practice and support: Bax Engineering is proud to have developed highly effective best practice erosion and sediment control solutions. Water quality monitoring and management: We use effective and appropriate plans, methods and techniques to detect sediment discharge and reduce the potential impact on watercourses. Sediment basin flocculation and dewatering solutions: Sediment basins are a common and effective way of capturing and treating dirty runoff on construction sites. Following detailed studies on flocculants, basin mechanics and dewatering techniques, Bax Engineering is able to provide the most advanced and cost-effective treatment solutions. Stormwater management plans (SWMP): SWMPs lay out the detailed plan for controlling stormwater pollution on a construction site. Under the Environmental Protection Act 1994, persons and corporations are legally responsible for land disturbances. Bax Engineering can help to prevent or minimise environmental harm. Prevent the collection and discharging of sediment from material stockpiles. With vast experience in engineering as well as soil and water science, Bax Engineering can assist with effective, compliant solutions for the integrated management of your site and soil and water environment. Reduced risk of complaints, fines, and prosecution. 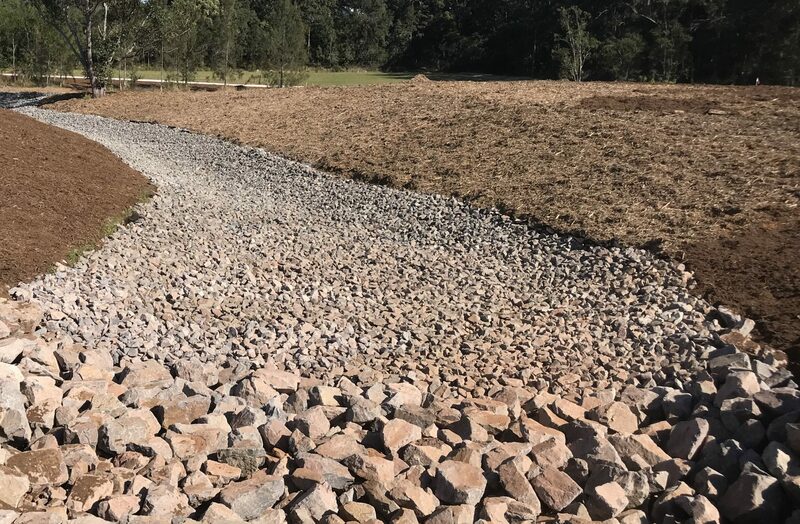 Led by Glenn Ainsworth, Bax Engineering provides solutions, advice, and consultation on sediment and erosion control Queensland wide, as well as other bespoke project management and civil engineering services. To find out more, phone Glenn on 0407 021300.